Reservation: During business hours, individual table reservations may be made at no charge at the management’s discretion depending on availability. After Hours Rental: The coffeehouse can be rented out after hours for $250 with a 3 hour minimum. Each additional hour after the first two is $50. $100 due at booking remainder due one week prior to event. The deposit will not be refunded if canceled within 72 hours. Rental is limited to customer areas only and time frame must include set up and clean up. 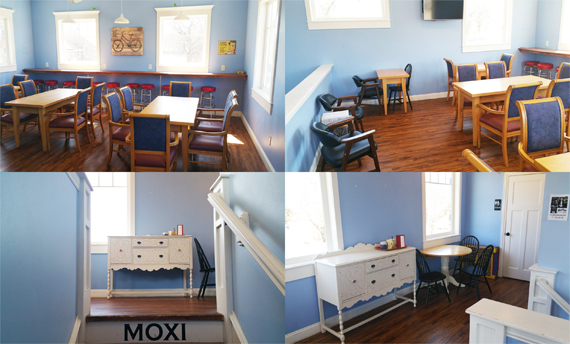 Food and drink by MOXI can be arranged. All rental dates must be confirmed with the staff to prevent a double booking, as well as a rental agreement (link below) must be filled out and delivered to the staff.